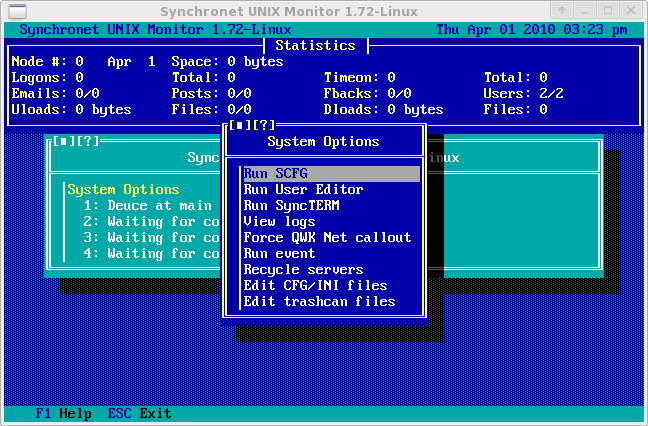 UNIX Monitor is a UIFC application for controlling and monitoring the Synchronet terminal server with built-in chat, user editor, configuration, and other conveniences for the Synchronet sysop. Originally designed for UNIX systems only, it also runs with reduced functionality on Windows. 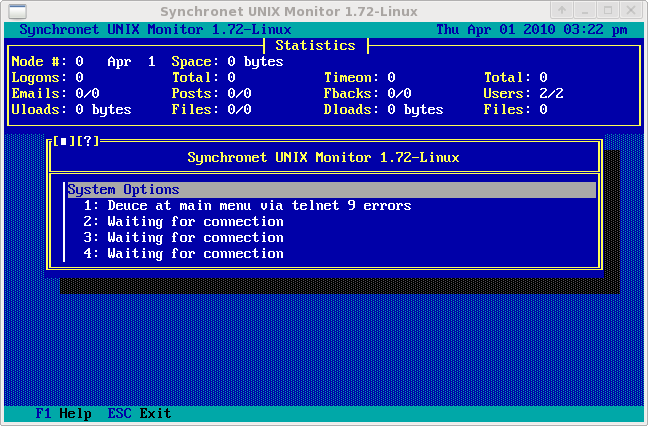 UNIX Monitor is a native executable program.